Superb mail-order only box set containing 42-tracks on 3 compilation CD's entitled 'Romance' 'Classic' and 'Dance'; plus a unique 60-minute video produced only for this box set featuring clips from 'Abba - TheMovie', 'Abba - In Concert and a rare interview with Björn Ulveaus. Also includes a 24-page picture booklet. Housed in an 11" x 9" x 1½" picture box. The CD's has a few minor marks - the box shows some slight shelfwear. Anekdoten answers one of the great "what if" questions of art-rock: what if King Crimson hadn't broken up in the mid-seventies? Anekdoten is a remarkable sound-alike to Red-era King Crimson, which is hardly surprising given Anekdoten's roots as a tribute band. Its instrumentation of viola, distorted Rickenbacker bass, highly pitched drums, Frippy guitar, and mellotron all evoke this era of art-rock; the smoky English vocals only add to the effect. The performances on this disc recorded before what sounds like a smallish but very enthusiastic audience are, in a word, thunderous, even more dynamic than their studio counterparts. The rhythm section really cuts through, and the bass sound is monolithic. And of course, there are great slabs of mellotron to be heard here. "En blekt blondins ballader" is a compilation album by Eva Dahlgren which contains her ballad hit songs between 1980-2005; this copy is signed on the front by Eva! Marie Fredriksson is best known for forming one half of the pop duo Roxette, which she created together with Per Gessle in 1986. She and Per Gessle achieved international success from the late 1980s to the early 1990s with a total of six top 10 US hit songs such as "It Must Have Been Love", "Listen to Your Heart", "The Look", "Joyride" and "Dangerous". Swedish 2-track single; b/w "Aldrig tillbaka mer". This is the rarest Silence album by far, released in separately handmade cover designs. The music smells of incense, as this is an exotic fusion of Indian and Western music with sitar, tablas, flute, sarod, tamboura and acoustic guitar. This mainly instrumental music has an open air, rural feel, which was ideally suitable for the hippie festivals of the time. Reissue in a hand-painted and hand-numbered cover(#3/96/250). All covers are different, 1000 copies have been made. Issue 1 - 75 painted by the band members. Issue 2 - 234 made by graduating students at the Kyrkerud Esthetical High School in Årjäng, Värmland. Issue 3 - 250 made by "Friends of Silence". Issue 4 - 131 made by a workshop at the same school as above. "Box 1991–2008" sammanfattar hela Kents karriär åren 1991–2008. Tio CD-skivor, alla med nya omslag, 26 olika bonusspår, 15 tidigare outgivna låtar, totalt 133 spår. Boxen innehåller även en live-version av "Håll ditt huvud högt" inspelad i Eskilstuna 2008, en 96-sidig bok, privata bilder, turnéhistorisk, låttexter och innerpåsar tecknade av Joakim Berg. #The Lonely Boys" is a fiction book by Swedish author Mats Olsson about a young rhythm'n'pop band from the south of Sweden in 1965. Per Gessle (of Roxette fame) was asked by Mats Olsson to write a soundtrack to follow the book, and so the band "The Lonely Boys" came into existence. The band went to great lengths to make the sound authentic 1960s; from the lyrical content to the authentic instruments and amplifiers used in the recording process. 2-track single in paper sleeve; b/w "Lonely Boys". 2CD collection, released along with "Öppna Landskap 75/95", which contained more well-knows songs. "Slutna Rum 75/95" contains more obscure tracks. This copy has been signed on the booklet by Lundell! When a band loses one of its longtime songwriters, it seems almost expected that the band would play it a little safe, testing out the waters before diving in. 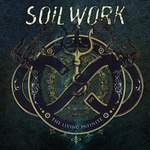 Not looking to take the path of least resistance, Soilwork, who once again find themselves without the services of guitarist and songwriter Peter Wichers, have done just the opposite. Rather than attempting to steady the ship with a quick album of throwaway tracks, the Swedish band has returned with The Living Infinite, a sprawling double album that finds Soilwork returning to a more distinctly Scandinavian sound in the wake of their more metalcore-influenced 2010 album, The Panic Broadcast. While The Living Infinite is certainly a whole lot of record, it's filled with enough vigor and creativity that it doesn't feel as though it's dragging along, and though fans might be disappointed to see Wichers leave the band yet again, it's clear that Soilwork seem to be getting along just fine without him. Karl-Gustav Owe Thörnqvist debuterade som artist 1953 med "Rumba i Engelska parken" och har varit aktiv inom den svenska musikbranschen i snart sextio år. På 1950-talet var han en av dem som först lanserade rocken i Sverige. Låten "Diverse julboogie", en form av rhythm & blues, utkom 1955, året innan artister som Elvis Presley och Bill Haley slog igenom i USA. Thörnqvists låt "Rotmosrock" (1956) var den första skriven av en svensk artist som använde sig av ordet "rock" i en låttitel. Owe Thörnqvists stil har jämförts med Povel Ramels, med hänvisningar till såväl ordlekar som hans breda musikaliska anslag och långa revykarriär; Ramel har själv hävdat att han och Thörnqvist var de första att introducera calypso i Sverige. "En Box Owe" innehåller 12CD med Owe's samlade skivproduktion 1955-1987 i en begränsad, numrerad (#02423) och signerad upplaga. MÄSTER CEES MEMOARER är en 5-CD-box innehållande 139 sånger av Cornelis Vreeswijk från åren 1964-1987. Detta är originalutgåvan i en 30 x 30 cm box med bok.